Do I have to have WordPress premium to be able to do this? What if a video is shared to Facebook from Instagram, THEN i try to put it in WordPress post? For awhile, pasting the FB link into the visual editor was working fine, but now it just shows the link. I don’t think those past videos that work were from Instagram, i went back and looked and one was shared from one Facebook page to another but the original doesn’t say it is from Instagram. Does it matter? and i have another question my worpress site does not display properly on smartphones and android device what could be the problem ? I want to develop a site where i am allowing users to upload the videos in their profile dynamically and same can be seen by other member, kind of facebook. Is there any plugins for the same? Then it gives a download link. Is there anyway to just embed the video without giving a download link? The video is an mp4. Test your video in different browsers if it still shows error then your video file may not be encoded properly. 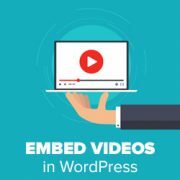 How to embed video on worpdress without iframe? can I use div code to embed? I have added Youtube Link in my site post but unfortunately it is not showing. I have tried many things to make it visible but no success. On load iframe load but there is nothing in the body tag of iframe. Sorry this is not correct. Instead I suggest you delete your post and create a new one. I was having a similar problem and that is how I fixed it. I was able to embed my video from facebook live, and everything appears to be working perfectly EXCEPT there is no audio. What can I do? WP will not let me use the Internet Archive iframe any more since it has updated. Do you have a work-around? Yes, it is ok to embed audio and video from archive.org. This does not work in the category text. Is it possible also here? Hello! Is there a way to upload a Boomerang from my iPhone to a post on my WP blog? Hello, I’m trying to include a video on my WordPress post. I copy the URL (URL only, not the embed code) from my Vimeo link and paste it onto the Post Editor on its own line. It is not a hyperlink. After saving & updating the post, I go to look at the post and all I see is the text of the Vimeo url (no video). What am I doing wrong? FYI this is my own video on Vimeo; there are no privacy settings and it can be shared. Thanks. how to increase Traffic on Photography site? without any content because my friend start a photography blog he was update only photos in blog how to improve that blog? Just a note to anybody thinking of just adding videos to explain things rather than explaining with written words. Videos with spoken explanations only are not accessible to hearing impaired people and might also be difficult for visitors to your site who do not speak the same language as the language used in the video. And videos cannot be read by screen readers for the bling. So make sure to add subtitles and also provide screen reader accessible content if you want or need your site to be accessible. I’ve just embed a youtube video on my wordpress site and it plays from that webpage on a desktop/leptop. However, when I access the webpage from my mobile device, when I play the video it opens it up in the Youtube app instead of staying on my website. I don’t want viewers to leave the webpage I’ve embed the video on while on mobile devices. Is there anyway to ensure viewers will not leave my site while on a mobile device and watching my video? I’m having problems with Vimeo embed codes. 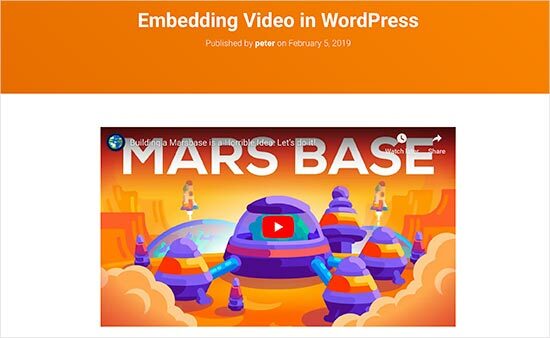 I have copied and pasted the Vimeo embed code onto my WEBSITE on the WORD PRESS Page but, when i click update and view changes all I see is the VIMEO Embed Code and not the VIDEO. It isn’t showing the Video on my WORD PRESS Page just the EMBED CODE? 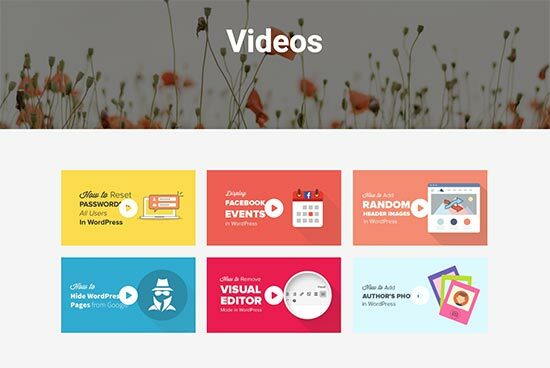 You can add a Vimeo video by simply entering the URL of the video page. No need to add embed code. I am having great difficulty getting a video to post on my WordPress blog. I’ve loaded it up to my youtube channel and then copy the URL from there. I paste into my NewPost, taking care to not have anything else on that same line. The video pops up in the edit box, but will not show on my blog when I come in from the outside, like any of you would do. I’ve reviewed bunches of training sites that all say I am doing this correctly, and yet it won’t show. I called GoDaddy, since they are my blog host, but to no avail. They couldn’t help. I even tried using the embed code and got the same results. Thank you for this video. Seems simple enough, but the video I want to embed in my Word Press template is from a news station’s website. It’s not on the white list and although you said we would have to use the embed code instead, you did not provide a link to how to use the embed code. This was helpful, but I’m an idiot and need every single step spelled out for me…haha! What may be helpful for others looking for the solution, is more details on the link that you actually use on the wordpress page. It’s shown in the video but isn’t specifically explained. Don’t use the links that youtube gives you in the “share” option. Instead, copy and paste the actual url that is in your address bar of your browser. I’ve got the video embedded on my site. I’ve even set a thumbnail as a featured image! But on my blog page it shows both the thumbanil and the video when I just want the featured image to show up on the ‘recent posts’ bit. how do I do that? I did this and it worked but I noticed that the email that gets sent to my followers do not show the videos. They would have to click on my actual website in order to see the videos. Does anyone else have this problem and how do you fix that? thanks! Did you ever get an answer to this? I have the same problem. The email sent to followers doesn’t even show a broken link, People have no way of even knowing there is a video there that they can’t see. Lyn and Kas, which plugin or service you are using to send out emails to your subscribers? When I do Vimeo, the player doesn’t shrink to fit the div of my post, so it’s cropped one third of the player off the right hand side. I tried the instructions here and it didn’t work. I then tried what someone else suggested which is copying it elsewhere, into a document, and then copy and pasting that into wordpress – apparently that worked for others. Didn’t work for me. I then simple copy and paste the basic URL into the post, no ’embed’ business, and voila! I have successfully embedded two videos from YouTube but views on WP are not reported in my YouTube stats. Do you know why? my insert/edit video icon doesn’t work. Can somebody help me please? Whoa. I thought there would be more to it! It works! Just like that. the link for the youtube video does not work! Anyway, its ironic that you are showing how to embed a video, and the video you show is only a link, not an embedded video??? The link does not work, because it is not a valid link. It is an example of how to paste a link in a post to embed a youtube video. If you are interested in our YouTube videos please check out our YouTube Channel. Simple is better and this is as simple as it gets. I love oEmbed! If you could instruct me in English perhaps I may understand. How do I know whether it is hyperlinked or not? 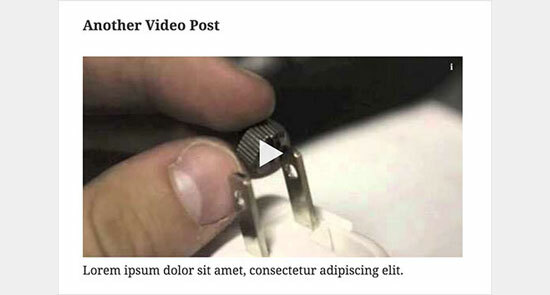 The videos you embed on your site are not exactly hyperlinked. Instead, they are opened from youtube with in an iframe on your site. Not worth a damn. How about people that don’t want to be a youtube whore? You can use Vimeo, or one of the many other platforms that WordPress has built-in oEmbed support. Okay, I did as you said and, even though I couldn’t see anything more than a yellow box, it was there. How about that. So, how do you do it then? I’ll decide if I want to host it from my own site or not. I have a password protected site with only a few users. I do not want to make my video public. Hosting a 30 second clip is not going to crash the server. If you have a handful of users and a short clip, sure go ahead and host it on your server. We would recommend going with Vimeo. 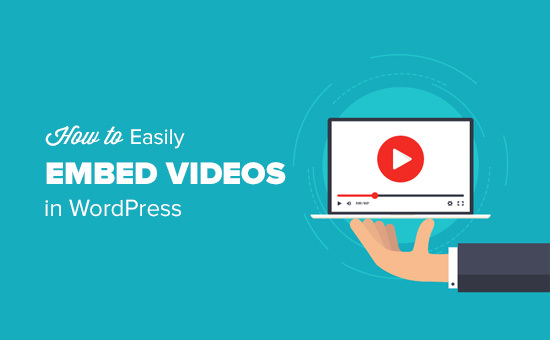 Their plus feature which costs like $60 per year allows you to limit video embeds to a certain domain name. You can make it yoursite.com, and then have your site members only. I consistently can’t embed videos on our blogs unless they are posted on YouTube. I am trying to embed a video from a public television station that provides embed code. Pasting the url does not work, using the embed code does not work. I tried pasting both into Notepad before pasting as a commeter above sugggested and that is not working. I have checked my settings to make sure auto-embed is enabled. Any other ideas? If these public televisions are not using a popular service like Youtube, Vimeo, etc, then just pasting their URLs wouldn’t work. You would have to use their embed code. If it is iFrame embed code, then you should probably download one of the iframe plugins. If it is a Flash Player code, then you should be able to paste the code in your HTML tab of post editor. It should work just fine. 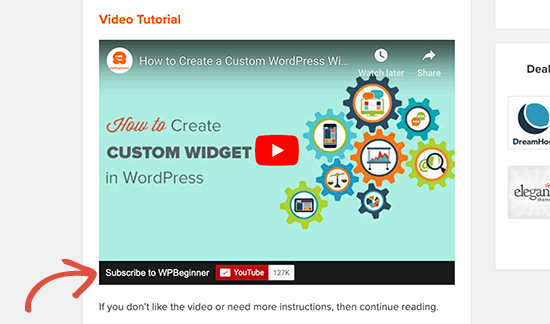 I’m trying to embed videos manually (unfortunately all the videos I want to post in my blog are not among the easy-to-embed ones that you’ve listed) but it doesn’t work. If I copy and paste the link in the HTML page, it doesn’t do anything in the VISUAL page. What am I doing wrong? I’m downloading these videos and uploading them on my dailymotion page to avoid this problem but it’s time consuming and I really would like to just embed. If your embed is iFrame based, then use one of the iFrame plugins. Iframe based videos don’t work either, not even with the iFrame plugin. Flashplayer code videos don’t work. I’m considering migrating somewhere else, it takes less time than trying to figure how to do something that’s supposed to be easy, according to what WP support keeps telling us.